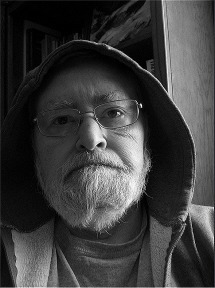 David Arthur Adams is one of the preeminent ERB scholar-writers of the present age. He has published over 125 articles in fan magazines and on the internet, which boasts 86 of these sterling works. Adams brings a unique blend of scholarship and poetic telling to his articles that make them both valuable pieces of research and engaging tales in their own right. He often goes beyond the “facts” of the matter and engages in a brand of Burroughsian hermaneutics that is always interesting and entertaining to experts and novices alike. Adams has been a fan of the Tarzan stories since he was twelve-years-old, and he is rapidly approaching his sixtieth birthday. His internet persona and nom de plume is Nkima after Tarzan’s monkey companion featured in ERB’s novels and the Tarzan comics. 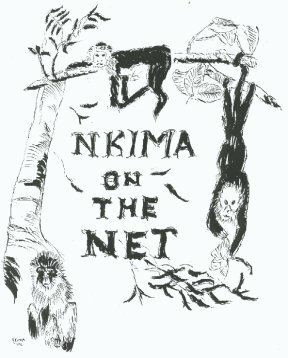 One day Nkima was lost in a deep, dark forest. Nkima was not frightened by the voice. Perhaps he should have been. At once he took a stick and wrote upon the ground. but nothing he wrote made any sense. for the entire earth was covered with his scratchings. If one knew me well, they might say that I was obsessed with the works of Edgar Rice Burroughs because I think about them all the time. This judgment may be true. A child was born in distant days when ten cents could buy a comic book. One day he traded all the comics he owned for Tarzan comics, and bought some more for ten cents. That child did a lot of things that still influences my life today. It’s strange that he knew I would someday become enamored with the works of Edgar Rice Burroughs. Once upon a time a young boy was taught that there was only one way of seeing things. For him, this didn’t seem to fit. Everything he was taught seemed to fit into holes of nothing. Everything seemed like a game. For this boy, the rules of the game didn’t make sense because he could see that all the pieces of many games had been put into one box and shaken up. It seemed to him that people who put the pieces on the board, saying, “here are the rules,” were mistaken about the game. He knew it was best to play the pieces of the game another way. He shook out the box and made up his own rules as he went along. The boy’s father and mother were appalled. They said to him, “This is not the way the game is played.” The boy replied, “I will be different.” His parents said, “Just wait until you grow up; you’ll see,” but the boy couldn’t see. The boy played and played his game for many years, moving the pieces around on the board every which way he liked, but he could find no one else to play this game with him. Everyone else seemed to need rules to play the game. Finally, the boy decided that he had been alone long enough, so he picked up a book of rules and learned the proper way to play the game. Now he had many friends who could understand his moves, but the boy always knew that this was only a single game. When the boy grew into manhood he had been playing the game with other people for many years. He had forgotten that the rules were an artifice. Near the end of his life, the boy put all the pieces back into the box, and he shook it with fury. Even after this concerted effort I seem to be going as strong as ever. My interest in Burroughs has not flagged over the years, in fact it has increased with each new article I compose. The word “compose” is carefully chosen (as is word of a poet) since I have been a musician and a teacher all of my working life. I have taught instrumental and vocal music for 33 years in the public school systems, 30 years in a single small town in Minnesota. My teaching career is somewhat of a mask since it has been for me largely a way to earn an income to support my family. My real love since early childhood has been writing, and for nearly 30 years I studied and wrote poetry for small press magazines throughout the country. My output was much greater than my success in publication, and I gradually turned to writing for the local newspaper at which I am presently nearing my 100th feature article. This may not seem like much since I have been contributing to this newspaper for 10 years, but like all of my work it brings absolutely no money into the Adams’ household. For me, writing is a labor of love. My two children are grown-up and away from home now, and my wife is a long-suffering soul to have put up with my “hobby” during all of our 30 years of marriage. She, like most ERB widows, tolerates my aberration for Burroughs, but has never read anything I have written about the man or his works. My library is confined to my den where I work almost daily on one project or another that has something to do with The Master of Adventure. As you can see from my summary of publications above, I am a writer for whom the internet came as a blessing. I now have an outlet for my ramblings and “Chatterings,” as I call them when writing for Bill Hillman, that gives me a reason to continue my labors. I turn out as many good essays on Burroughs and his writings as I am able, and I hope to be healthy enough to continue this work for many years to come. I expect that my retirement after another year of teaching will serve to increase my production, but who knows, I may turn to drawing and painting exclusively since these endeavors seem to fulfill something in me in a way that writing cannot. After all of my years of teaching music, my enjoyment for this art has largely left me, leaving only my piano as a source of meditation. I never listen to recorded music anymore. Poetry still comes to me in fits and starts. I still try my hand at a poem of a few lines, but the art has been largely distilled into my prose. Words still sing for me, yet I wonder if they too will someday reach the zone of silence. Perhaps someday I will only fill the whiteness of the page with the aid of a brush filled with liquid colors. If this happens, it happens. I know I will have no choice in the matter. Until then, my song goes on, singing the praises of the Ape-man and the far off warriors of many worlds created by Edgar Rice Burroughs. My “Chattering from the Shoulder” articles came about from a suggestion from Bill Hillman that I try to write an article a week for his internet site. Bill did not suggest that I try to do anything extensive or go to any great depth of research, but it seems that this is where these articles have gone in the first dozen pieces I have produced for him. I have written many other more personal pieces for Hillman, including my “Icons and ERB” series that came to me one evening in that state of half-dreaming, half-waking that seems to be the area where poets often find their best ideas. Perhaps this is where my “Chattering” series will go next, yet this area of dream work is one that comes -- it cannot be forced. Only scholarly work can fit a deadline, and so I take this easier route most of the time, fitting in the poetry where I can -- lines given to the work at hand by the fickle muse. My students often read my newspaper articles, and sometimes they tell my that my lucid prose is beyond their understanding. Of course, I think I am always being crystal clear, choosing each word with with the utmost care. Be as this may, I still aspire to the density of Robert Louis Stevenson in his essays or the arcane prose of the lapidary, Borges. I wrote a moment ago that scholarship is easy for me. It is. I do the needed connections rapidly, combining all the knowledge I have stored from all of my reading over the years. Yet putting it down on the page is still largely a chore, so I often resort to the epigram to bear the weight of my meaning. I am a lover of both Zen and the writings of Wittgenstein. Both schools of thought work with short sentences (or with none at all.) My teachers in college said that my prose reminded them of Hemingway, but this is only because I was reading Hemingway at the time. I am a great imitator. Sometimes I think that my work is all a deception because I work with a hidden agenda. I write to discover things about myself. The fact that I write about Edgar Rice Burroughs is but the chance of Fate. He was there for the boy, and the man finds him still lurking in every corner. I can no more avoid Burroughs than I can avoid my own breathing in and out. His Tarzan captured my soul in his mirror, and I am forced to perform on this side of the looking glass. ERBzine 0205: Nkima's Commentary on the JCB Art in Tarzan & "The Foreign Legion"